Climate Justice Saskatoon is hosting a primer discussion before Saskatoon's Climate Change Town Hall Wednesday, May 25th, from 6:20-7:30pm. This is an opportunity to learn more about the People’s Climate Plan and get comfortable before the official Town Hall meeting. As part of the Wild About Saskatoon NatureCity Festival, PermaSask is hosting its May 28 monthly gathering in the backyard of one of its 2015 permablitz hosts. Terry Nelson, Saskatoon Co-op, will discuss energy-efficiency initiatives at retail co-operatives in Western Canada at the June 1 breakfast meeting of the SK Energy Management Task Force. The two-day Renewable Energy Finance Summit will discuss realizing renewable energy project success under the Alberta and Saskatchewan competitive bids. Help species at risk such as the Greater Sage-Grouse at Grasslands National Park’s volunteer event, June 2-5. The Friends of St. Victor Petroglyphs are offering tours of the petroglyphs and Butterfly Habitat on June 3 and 4. 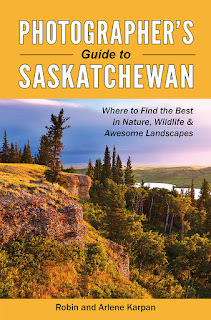 Robin and Arlene Karpan have just released their latest book, Photographer’s Guide To Saskatchewan. 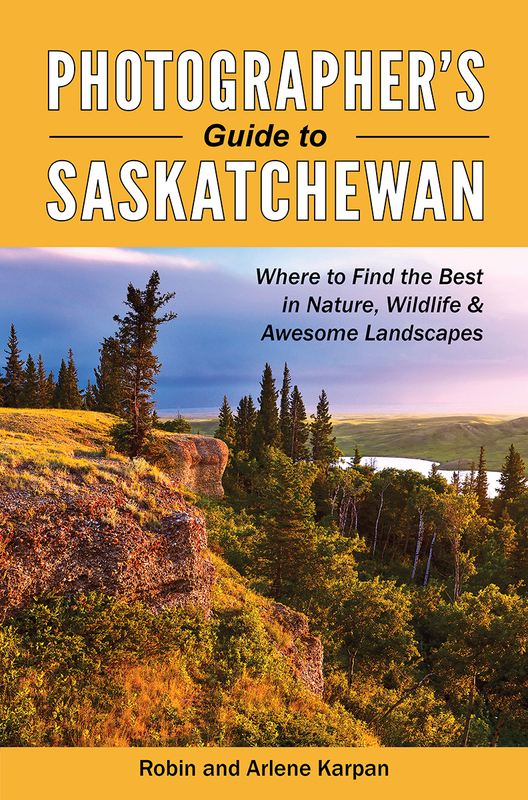 It includes the couple’s favourite photogenic haunts throughout the province as well as how-to details and 250 images. Meewasin Resource Management staff have discovered a Sharp-tailed Grouse lek on the Northeast Swale. A lek is the species’ ritual mating dancing grounds. The males dance in the centre of the lek while the females watch from the outside. The males puff out their tails, open their wings, and stomp the ground to attract the females: it’s an impressive sight. 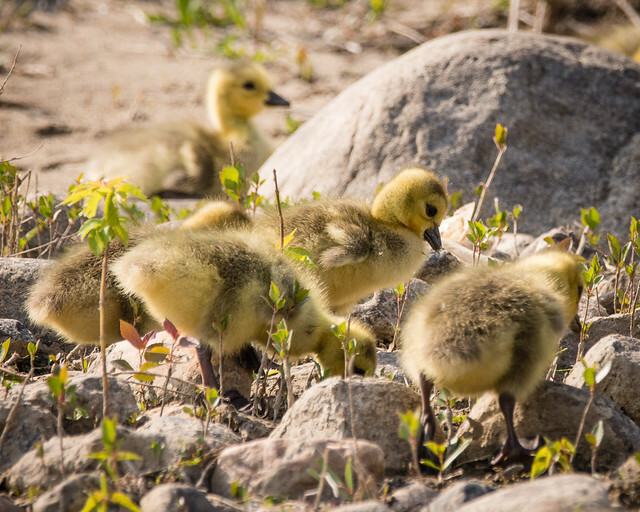 Meewasin staff have counted up to 26 males on the lek and a total of 40 birds in the area. Here’s a video taken at the lek from a remote camera purchased by private donations from members of the Northeast Swale Watchers. Sharp-tailed Grouse are an endangered species in Canada. 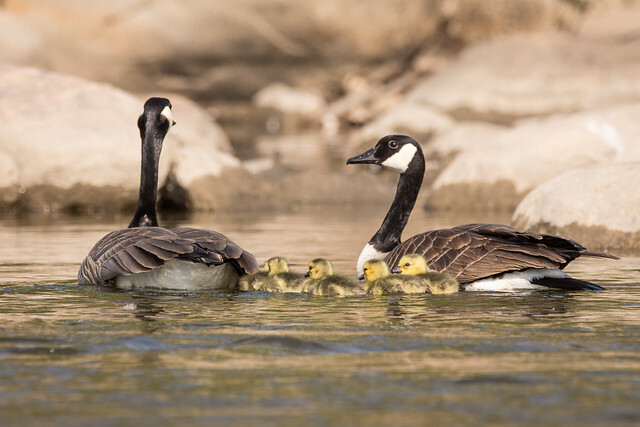 Let’s hope that Meewasin Valley Authority and the City of Saskatoon do all in their power to protect the birds and their lek from encroaching urban development.